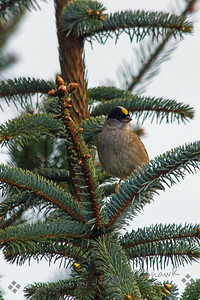 From a week-long wander in Washington State, binoculars and camera at the ready. 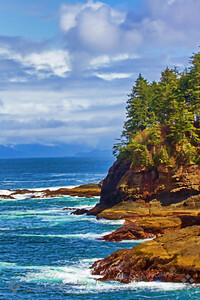 View of the beautiful coast along the northern edge of the Olympic Peninsula, Washington. The sun came out after the rain, and turned the water very blue. 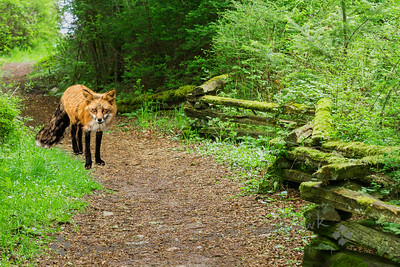 The fox walked right toward me, locking eyes, before she turned away and disappeared into the trees. 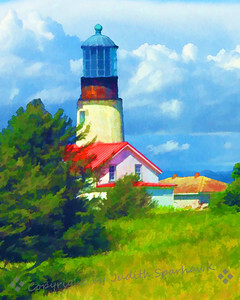 This version of the lighthouse was processed in Topaz, giving it a painterly effect. Tatoosh Island is across the strait from Cape Flattery, the northwest point of Washington and of the 48 contiguous states. 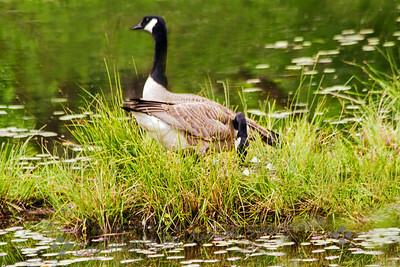 This pair of Canada Geese were nesting on a small island in a slough at Nisqually National Wildlife Refuge. This photo shows the female turning her eggs in the next, with the male standing guard. After, she settled down over the eggs to continue incubating them. 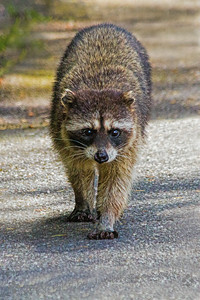 This racoon was seen at Point Defiance Park, near Tacoma. He went up to the car in front of me and stood up, begging. Clearly he had been fed before, despite signs to the contrary. This shot shows him headed right at me, hoping for a hand out. Needless to say, I didn't feed him either. 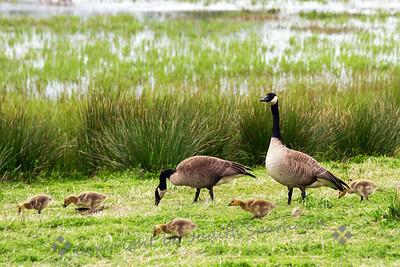 This family of Canada Geese was feeding in the grass along side the slough. Dad was keeping an eye on the goslings as they wandered in the grass. 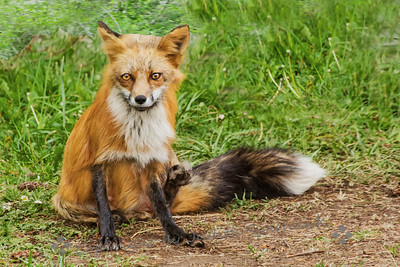 Yet another fox photo. I was so excited to see the fox, I went overboard with the pics. Don't worry, I won't show them ALL! 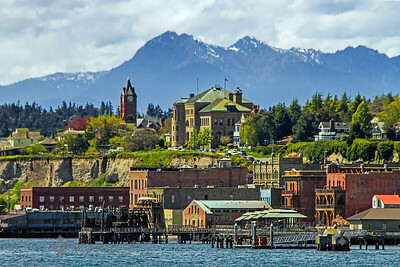 My favorite view of the town of Port Townsend, as the ferry pulls away from the waterfront, showing the town, with the Olympic Mountains in the background. This was a small section of the path out to Cape Flattery, Washington. 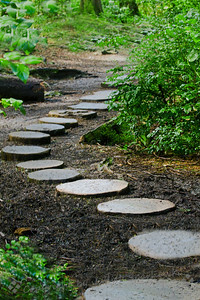 I liked the curve and the wood stepping stones. 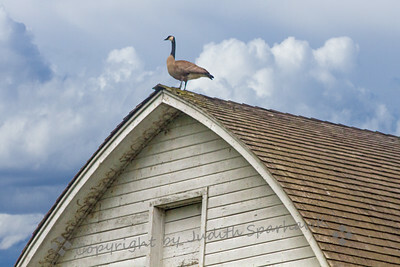 For those of you that liked the goose-on-the-barn shot, this a more of a close-up. You can see the goose better, but lose the size perspective of the barn. 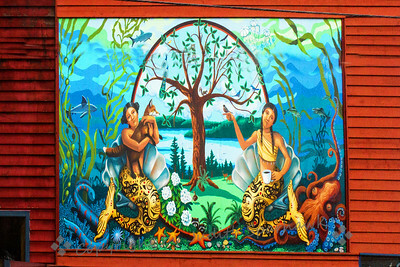 While driving through downtown Tacoma, trying to find the freeway, I turned the corner and saw this beautiful mural on an exterior wall. I couldn't resist taking a quick shot of it. 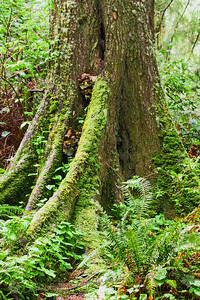 This moss-covered tree trunk was typical of the old-growth forest I walked through at Cape Flattery, Olympic Peninsula, Washington. 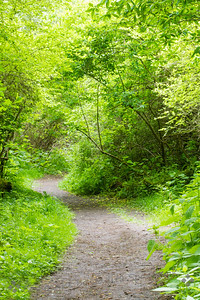 This beautiful green path was in the Dungeness Recreation Area. 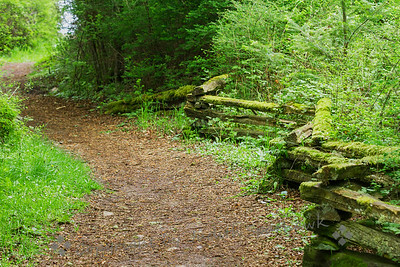 I loved the color and the closeness of the path. 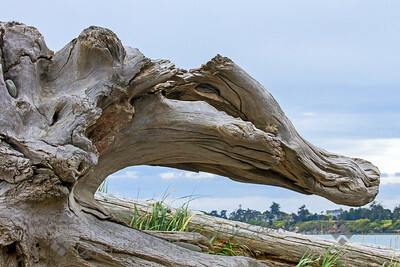 The beach along the Dungeness Spit, part of the Dungeness National Recreation Area, has interesting driftwood. This is one of the pieces I liked. 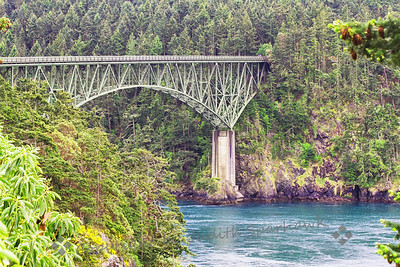 The bridge at Deception Pass is a popular place to stop, with the state park on both ends of the bridge. 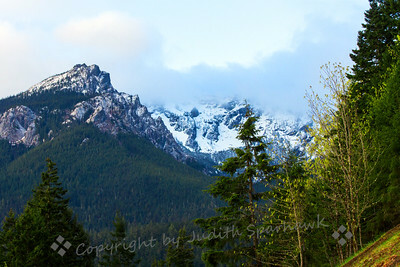 Photographed in the Olympic Mountains, Washington. 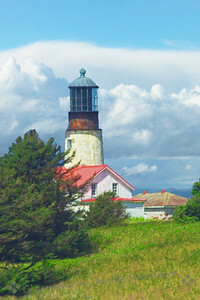 Lighthouse on Fort Worden, Port Townsend, Washington. 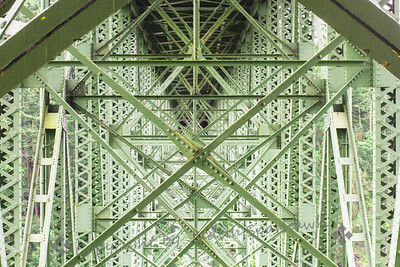 This is the view from under the Deception Pass Bridge. I liked the pattern of all the many bridge structures. Washington State. A view from Heart 'O the Hills Highway going up toward Hurricane Ridge in the Olympic Mountains out of Port Angeles, Washington. 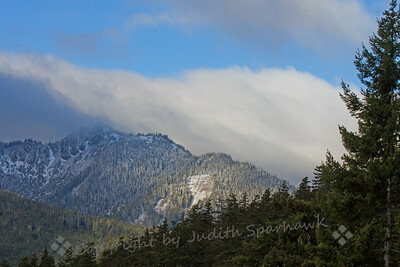 Despite some blue sky above, it was snowing in the upper peaks. Tatoosh Island is about 1/2 mile from Cape Flattery, the most northwest point of the contiguous 48 states. It is a nesting site for seabirds, and has a lighthouse. 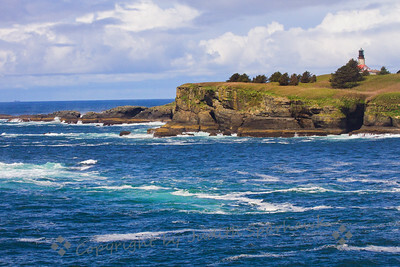 Cape Flattery is part of the Makah Indian Reservation. This view was from the highway up to Hurricane Ridge, in the Olympic Mountains, Washington. 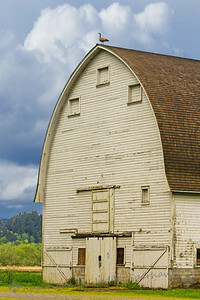 Two barns are at Nisqually Wildlife Refuge. They were a different style of barn than I've seen before. Nisqually is near Olympia, Washington. 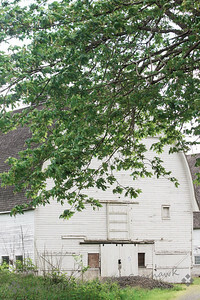 This old barn was one of two on the grounds of Nisqually National Wildlife Refuge. Swallows were nesting under the eves, Barn Owls supposedly roost inside, and this Canada Goose was sitting up top--a very useful barn! 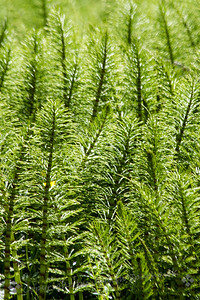 These pretty plants grow in water, and were found in Heart 'O the Hills Campground in the Olympic Mountains out of Port Angeles, Washington. 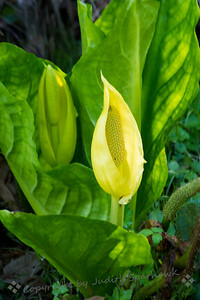 The real name of this plant is Skunk Cabbage, not anywhere near pretty enough a name! 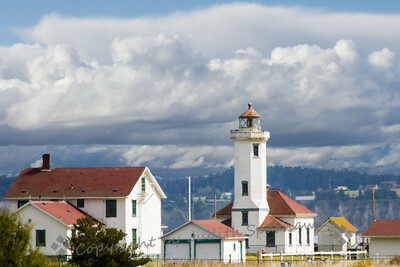 This lighthouse is on old Fort Worden, no longer a military base, and which is now a park in Port Townsend. 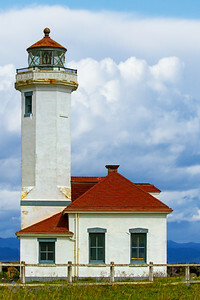 The lighthouse was built in 1919. 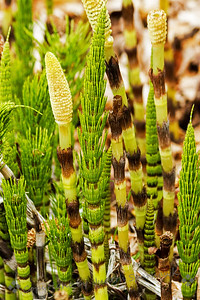 This image shows the horsetails , fully open, and not yet in bloom. San Juan Island, Washington. 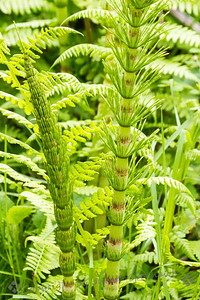 On San Juan Island, at English Camp, I found a lot of these interesting plants, which made e think of a type of Horsetail plant. 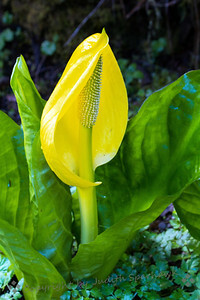 These interesting plants were on San Juan Island. This shows several stages of the plant growth. 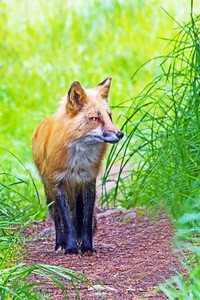 This pretty fox showed up at the American Camp area of San Juan Island. One of the things about Washington State that stands out to me is how green everything is. Coming from fairly arid southern California, I felt as if I was breathing green air. 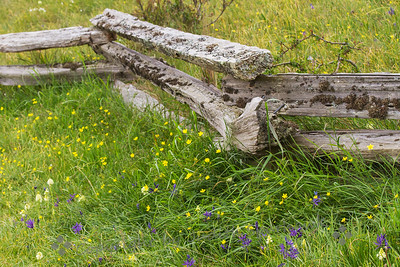 On San Juan Island there are long stretches of countryside with these wonderful old wood fences. They are covered with lichens and moss. Here the wildflowers added a touch of color. 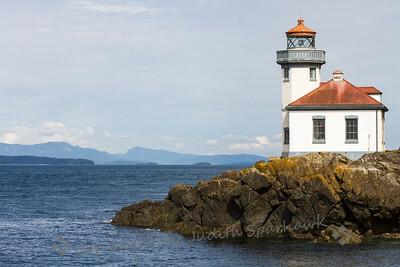 This lighthouse on San Juan Island was built in 1919. This site is one of the best places to see Orcas Whales swim by. Alas, none while I was there this time. 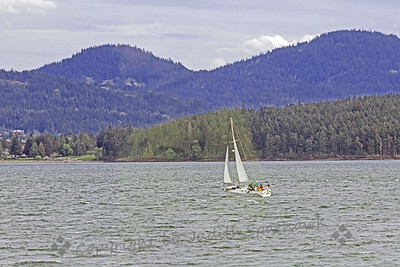 This sailboat was braving the cold and windy weather in Puget Sound, while the rest of us were huddled inside the ferry! 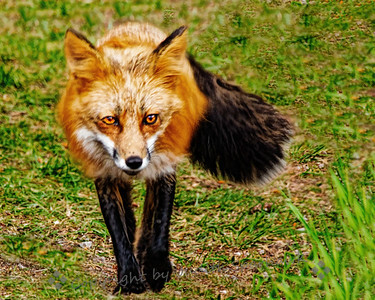 A vertical view of this curious fox. 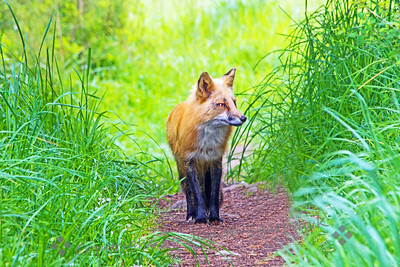 This pretty fox was photographed on San Juan Island. He had just walked up this little hill and found me and my camera at the top. 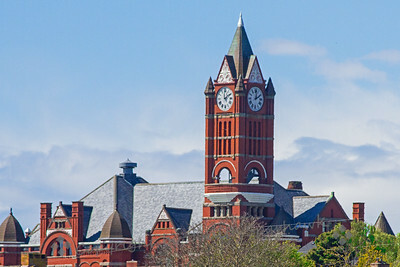 This great old church is a landmark of the town of Port Townsend, Washington. 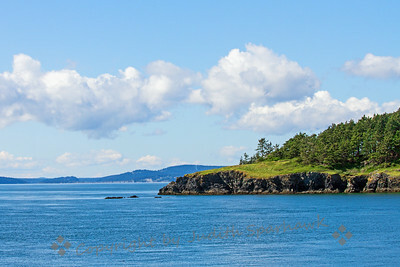 One of the San Juan Islands in the Puget Sound, Washington. 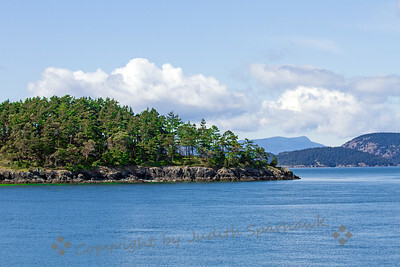 Passing one of the islands that make up the San Juan Islands in the Puget Sound, Washington. 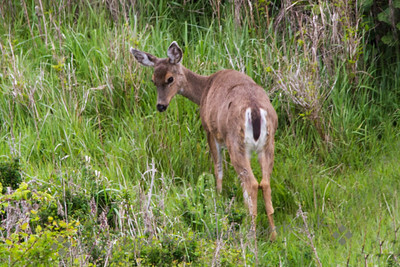 The native deer on the Olympic Peninsula and the San Juan Islands is the Black-tailed Deer. This one shows where she got this name. 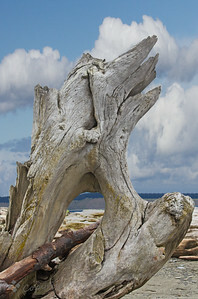 Photographed at Salt Creek Recreation Area, Olympic Peninsula, Washington. 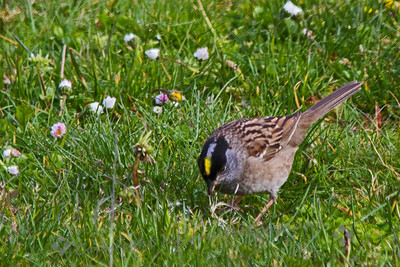 Quite a flock of these sparrows was feeding on the grass at Salt Creek Recreation Area, near Sequim, Washington. 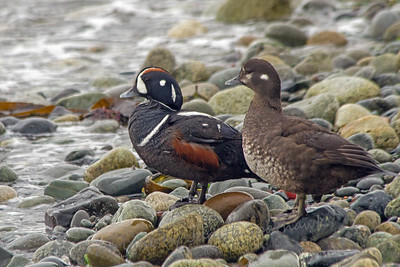 A pair of ducks photographed at Diamond Point, Discovery Bay, near Sequim, Washington. 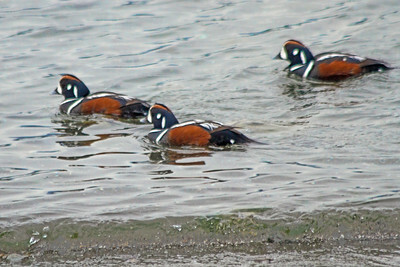 These are three Harlequin Ducks photographed in Port Angeles, Washington.